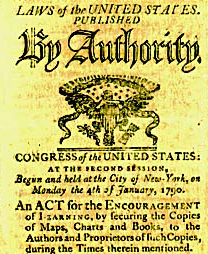 The very first copyright law in the US was officially called "An Act for the Encouragement of Learning." Indeed, that was the actual stated purpose of copyright law at the time. It wasn't supposed to be a system for protecting the revenue of artistic folks. In fact, it didn't even cover most artistic works at the time. It was limited to "maps, charts and books." Music? Not protected. Paintings? Not protected. Sculpture? Not protected. That's because it wasn't about artwork, but about the spread of knowledge through learning. Yes, the idea was to provide a limited monopoly to incentivize the initial creation, and the exchange was that it would then be given into the public domain soon after, such that everyone could learn from it. Yesterday, we covered the importance of the public domain, and today's topic for Copyright Week goes hand in hand with it: the idea of open access. Copyright law was supposed to encourage greater access to knowledge to have a better educated populace. But the current setup of the law appears to do the exact opposite of that much of the time. When it comes to newly discovered knowledge, our copyright law (and the way it's used by some giant companies) seems almost entirely focused on making knowledge more expensive and less open thereby massively hindering the ability to share knowledge and better educate the public. This has been seen most recently in the publishing giant Reed Elsevier's effective war on access to knowledge, using copyright law as a sort of weapon to block researchers from sharing their own research. However, as we've discussed for many years, the whole system is rigged against knowledge access and sharing, and in favor of giant publishers locking up knowledge -- often including research that was funded almost entirely by your tax dollars. Professor wants to do some research, and files for some grants (usually from the government) to pay for that research. If that professor works for a state school, at least part of their salary is already partially paid for by public funds. Government agrees to grant, provides taxpayer money to the researcher to conduct important research. Research is completed, and the professor and some grad students/assistants write up the results in a paper. Because academics are still (stupidly) judged on how often they "publish" in "prestigious" journals, the professor submits the paper to a few well known journals. In some (though not all) fields, the journals make the professor pay a submission fee. The journals send the paper out to two peer reviewers, who do not get paid. They basically provide an editorial function to the publisher for free. The journal "accepts" the paper, and demands that the professor hand over every possible copyright on the work and related research. I even know some academics who had to recreate their own research for later research, because they felt they were barred from using a chart they had created in a previous work without violating the copyright. The publisher then sells the journal to academic libraries at absolutely insane prices. A freedom of information request at one university a few years ago showed that the university paid £688,093 -- or $1.1 million -- over a five year period for just three products from Elsevier, and only one of those products included full access to all of the published papers. The other two were merely for "abstracts and statistics." For just the popular 'Science Direct,' this one university paid between $150,000 to about $200,000 per year, for a subscription to just one journal. Even when, as with the National Institute of Health, there's a requirement for "open access" publishing after one year, many journals will try to charge a very high fee (often thousands of dollars) to pay for "submitting" the paper to an open access repository. In short, we have taxpayer funded research for which the publisher pays nothing, but gets the entire copyright, and then they sell the journals back to academic institutions for subscriptions often well over $100,000 per year -- and the research is completely locked up. Even more insulting in all of this, copyright was never the reason that the research was done in the first place. Remember, the purpose of original copyright law was to create an incentive for these individuals to do the research and publish the results -- but here, researchers are academics who are getting paid via grants, so the copyright is not the incentive at all. It can be argued that copyright was at one point part of the incentive for the publishers to set up the peer review process, and then to help publish and distribute the works, but is that a process that is needed any more? It's difficult to see how. The things that publishers do (peer review, distribution) can be done much more effectively and efficiently these days, without the gatekeeper status or the insanely high prices. Oh yeah, and without locking up the knowledge. Learning and scientific knowledge increases when we share knowledge, data and information widely and freely, allowing others to learn from it, to build on it and to continue to educate others and themselves. Today's copyright law does the opposite in almost every way. That's why radically changing how open access works and when it's expected is so important if we're to bring copyright law back anywhere near its initial intended purpose.